Fast moving, always adapting and often controversial, social media is an area where many of us have divided opinions. We like to keep our ear to the ground in the social media world, and as the week comes to an end, we’ve put together a few of our favourite pieces of social media content from around the web that you might not have spotted. Are Snapchat priming their service for advertising with live stories? Snapchat is becoming big news. Despite being only three years old, the popular ephemeral photo-sharing app has taken off in a big way, and has already rebuffed a lucrative take-over bid from Facebook, seen its user numbers rocket and has now been valued at over $10 billion. Last month, we were lucky enough to work alongside Keepmoat, one of the national market leaders in sustainable community regeneration and housing, to help them to stand out at key industry trade show, CIH, held at Manchester Central. Social networks were never really meant to be long-winded. Twitter has and probably always will limit its users to the SMS-style 140 characters; Facebook cuts statuses off mid-paragraph and encourages you to ‘see more’ instead of displaying the whole thing and TL;DR (too long, didn’t read), a phrase originating well over a decade ago on Usenet forums is now wildly popular on Tumblr, Instagram and just about any other social network. Just as marketers and PRs were finally starting to get to grips with the growth of social media, the landscape has quickly shifted again as new media and technologies have begun to add another string to their ‘network society’ shaped bow. It’s easy for the average Joe to express his opinions nowadays. If you’ve got yourself a Facebook or Twitter account you can comment on absolutely anything you like and the chance is someone will see it. This being said how many arguments are started on Facebook or Twitter? How many comments are deleted? And how many times have people flat out dropped the ball by accident? Don’t worry, unless you’re an influential figure most likely those mistakes you make on social platforms will be forgotten in a week or so. Better yet, you’ve got your head screwed on and you know what not to say online. But some people however are not so smart, and others have made a pretty big mess of things online, not just for themselves but for their respective employers too. Ouch, social media: How to do it wrong! Early last Thursday morning, the Prohibition PR team travelled to the Yorkshire Sculpture Park to host a special breakfast seminar on advanced community management as part of our Social Media Training Series. A variety of business and marketing experts from all over the country came across to evaluate their current digital and social media strategies and, more importantly, to find out how to adapt and improve them. 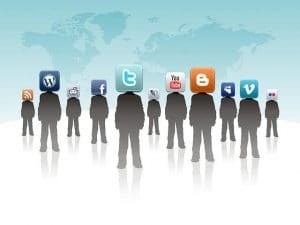 In this article the brilliant Paul O’Brien discussed the influence of social media on search engine rankings and highlights a number of tools which can be used to help bring some strategic focus to your content marketing programmes.Organisations often struggle to understand the relationship between their website content and social media. They have almost all embraced content marketing in the last 24 months and at this point you’d be hard pressed to find a business that isn’t interested in social. Nonetheless, the specific relationship between these two disciplines is hazy at most companies. How do these two critical elements play a symbiotic role in your marketing mix? Prior to my internship with Prohibition PR, I had no idea what Public Relations was and how it worked. Having gained three months experience now, I am amazed at how much I have learned in such a short period.